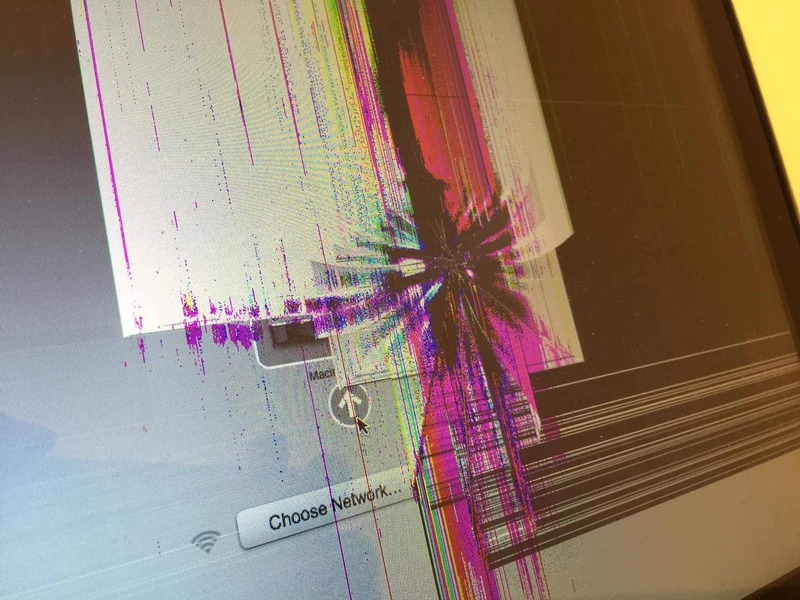 We’re not sure if this MacBook Pro A1278 13 inch screen 2012 model had something thrown at it, was dropped, or if someone just closed the lid on some earbuds, but there’s a clear impact mark where something happened to the middle of the laptop screen. It’s made a sort of starburst pattern with purple, pink, blue, yellow and green lines coming out of the black spot in the center. Pretty, but not so useful for browsing and computing! Despite the big crack in the LCD, the clear glass panel is actually intact, so we only charged $195 to get the MacBook computer screen fixed.